OK I just purchased the Female Fat Free Solution tonight and have gone through it to do a review for anyone who is interested in purchasing it. Overall review – The fat loss program is really a complete program. She provides WAY more great content than I was expecting including general fat loss information, workouts, healthy eating instructions and recipes, success stories and motivational tips, and a lot more. If you are a woman and looking to get rid of unwated fat or cellulite you need to purchase Female Fat Free Solution. When you buy the fat loss program you are able to upgrade to include even more great products. The first thing you will be able to upgrade to if you choose is a free 30 day trial of Sue’s “Fit and Firm Females Club“. This includes a lot of bonuses, updates, support, etc. I won’t go into full details of what she offers because it is all on her website, but being FREE for 30 days makes it a wise choice to become a member! After your purchase you can also pay a little more to upgrade to some other great fat loss extras. I only purchased the “Emergency Pack”, which is a full 5-day extreme emergency fat loss blueprint. Basically if you have a function, vacation, photo shoot, or whatever else in a week or less away you can loss weight and look great very quickly with this program. This is for losing 10 pounds quickly (although you may gain some of this back afterwards). I highly recommend this product. The other products include “on the go” workouts, which were bodyweight workouts that could be performed on the road or when you don’t have access to the gym, and other neat fat loss accelerators that I just wasn’t interested in reviewing at the moment. So what is included in the Female Fat Free Solution? A lot. Seriously I almost didn’t want to write this review because I just purchased it and read through a ton of great fat loss information (now I am tired :P)… but I couldn’t wait to do this review for you ladies. You’re going to love it! Female Fat Free Solution Pre-Program Checklist – Just a basic check list to complete after you’ve read the program and are ready to start your fat loss journey. Training Guide – An introduction to weight training, and information on the three phases you will be going through during the 12 weeks. 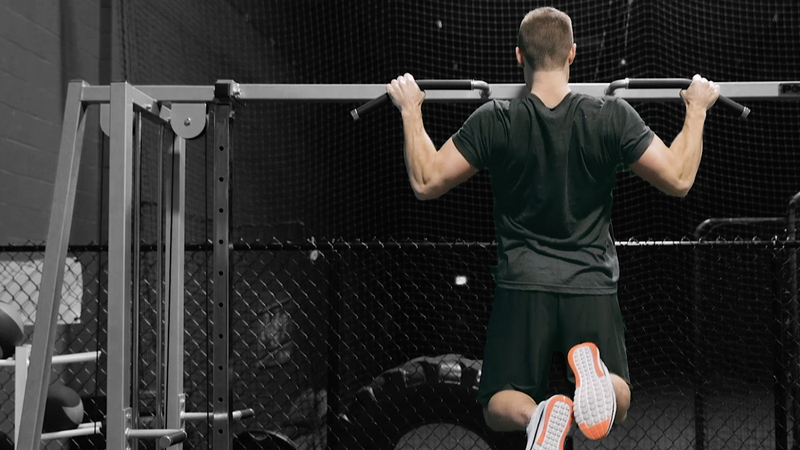 These include the Activation Phase Workouts, Sculpting Phase Workouts, and the Acceleration Phase Workouts. Complete Diet Guide – More than 100 pages of information about eating healthy, cellulite, dieting, cleansing, detoxing, healthy super foods, supplement, and more. Female Fat Free Solution Quick Diet Start Guide – Information about the 12 week diet. Which includes “cleanse, detox, and balance day”, “splurge day”, and “sculpt and burn day”. Also included are some great recipes. Supplements Guide – No, these aren’t the manly muscle building supplements. Sue recommends a great list of supplements to supplement your healthy diet which include glutamine, greens supplement, essential fatty acids, multi vitamin and whey protein for example. These are optional, but if you are following the Female Fat Free Solution to a tee you might as well increase your chances of quick fast loss with some useful supplements. Real Life Motivation – Tons of personal stories from women who have lost substantial amounts of fat working out and training with Sue. Very inspirational stuff. I’ve just heard that Sue Heintze will be releasing a fat loss product called “The Female Fat Free Solution” sometime at the end of March 2012 or maybe beginning of April. I know everyone loves to read reviews of these weight loss programs before purchasing so I will follow along with the launch of the product and when it is released I will purchase it and write a full and honest review. Sue is the creator of the Female Fat Free Solution product. She is a weight loss coach from Australia who focuses on helping women lose weight and more specifically get rid of their cellulite. I didn’t know much about Sue Heintze before looking into product, but after checking out her website and “about me” page it is pretty obvious she is a great fat loss coach and motivator. She has a really good story as she over came weight problems herself. On her Female Fat Free Solution website you will see some “before” pictures of her just a few years ago. She was slightly overweight and noted that she had cellulite problems. Now at 41 (and after having a kid) she looks simply amazing (pictures to show the transformation are posted). Since 2003 Sue has been coaching women across the world with their weight loss goals and has even mentored 30 winners of Australia’s national body transformation competition. I can’t wait to see what she offers in her product. What else is included in the Female Fat Free Solution? 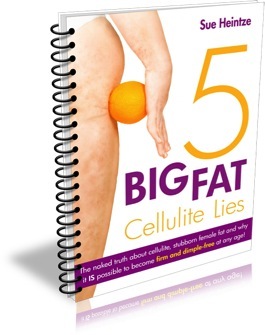 As we are just getting ready for the launch the first thing that was delivered from Sue was a report called “5 Big Fat Cellulite Lies”. Within this report you will find some information about her (pictures too). She will then go into great deal talking about cellulite myths, which includes the science behind each point and take home information that will help you get rid of stubborn fat and cellulite that you thought you could never get rid of. I am sure Sue could have sold this fat loss report on its own, as it is PACKED full of very helpful information and tips. She really over delivered on the first piece of free content she provided for the Female Fat Free Solution. Bookmark this review and check back every couple days as I will add to this review each time she releases more reports, videos, etc. I can’t wait for the full diet, exercises, coaching, or whatever she is releasing. Hi Clarissa please contact the owners via email listed on their website!